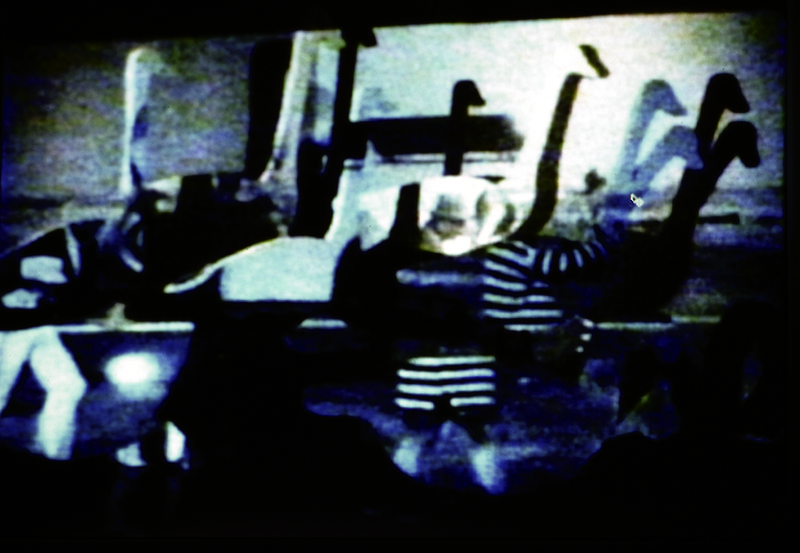 Little Histories of Modern Art brings together eight contemporary artists whose photographic and videographic works critically and affectionately reconsider the practices and ideologies of Modern Art. Helen Verbanz’s Landscape & Decoy is an elegy to the post-industrial landscape. The centrepiece of this work is a fragment of Federico Fellini’s 8 1/2 (1963) which Verbanz projects onto screens shaped like Canada geese. Laurel Woodcock also pays homage to a famous work of art with location shoot, a video projection in which a single chair is positioned identically in each scene – an affectionate parody of Joseph Kosuth’s conceptual work, One and Three Chairs. The works of these eight artists playfully revisit the histories of Modern Art, evoking its undiminished power on the Postmodern imagination. Helen Verbanz was born and raised in Winona, Ontario. She studied photography at the University of Ottawa and the Art Institute of San Francisco and earned an MFA from Rutgers, the State University of New Jersey. Her photography and video installations investigate landscape as a site for memory, psychological projections, and a barometer of changing social attitudes. Other works explore the media’s influence on our relationship with the social and physical environment. Her work has been exhibited in solo and group shows across Canada and the United States. Verbanz currently lives and works in Halifax.